I have mentioned before in my previous blog that the power of memorials is how they represent more than what they are. Of course, they represent an event, people, or a person, but more importantly they represent an interpretation of those events, people, or person. 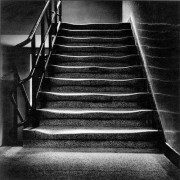 However, as a society progresses the view of the past changes. Generally as time passes historical interpretation gets better; more information becomes available, prejudices and bias are not so engrained, conversation surrounding the topic becomes more open. Thus, if historical interpretation of events change should memorials representing those events change as well? 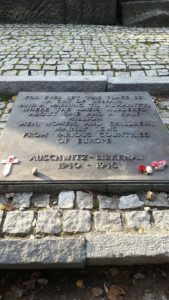 What prompted this question was our recent trip to Auschwitz-Birkenau, the concentration and extermination camps that are the symbol of the Holocaust. 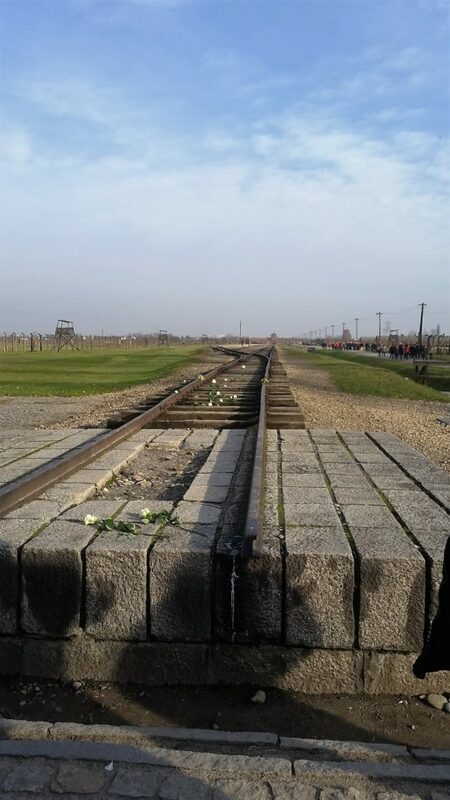 In Birkenau, at the end of the train tracks that was used to transport many Jews and others to their death the International Monument to the Victims of Fascism stands on the former crematoria (a building designed to burn the bodies of the gas chambers victims). The competition for a design was opened in 1957-1958. But the project faced difficulties especially because there was a 1947 law against changing the camps ground too much as the goal was to preserve it as much as possible. Finally a design was chosen and in 1967 the monument was unveiled. The original plaque in front of the memorial read: “Four Million People Suffered and Died Here at the Hands of Nazi Murderers Between The Years 1940-1945.” There was no mention of the Jews who were the majority of the victims of the camp, unsurprising considering that the Holocaust was ignored in Poland, as well as other places, for many years after the Second World War. 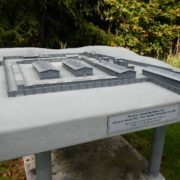 In referring to four million victims, the plaque indicated the official number the Soviet commission established after the liberation of the camp. 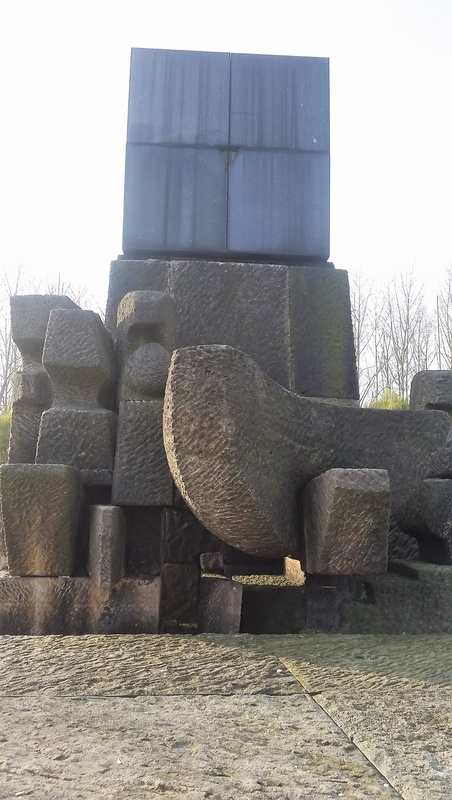 In the 1990s the monument was changed, or more accurately updated to fit a more modern historical interpretation. 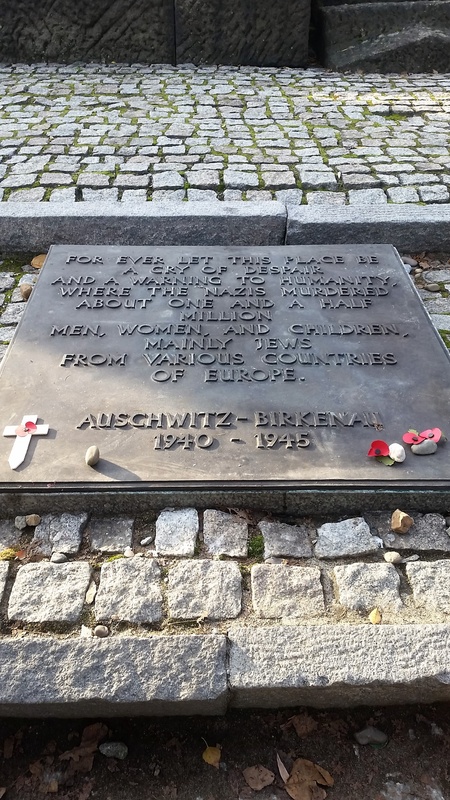 The plaque, in English to this day states “For ever let this place be a cry of despair and a warning to humanity, where the Nazis murdered about one and a half million men, women, and children, mainly Jews from various countries of Europe.” The information has been rectified to tell a more accurate (but still contested) number of victims and to represent how Jews were the main victims of the camp. 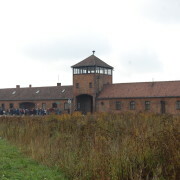 Auschwitz was added to UNCESCO’s World Heritage List in 1979. Today it is seen as the responsibility of the world and something important for humans of every nation to see. 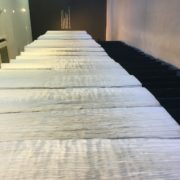 The universal importance has even been translated into the memorial, now the plaque’s message is appears in 19 languages, one in each of the languages spoken by the camps victims. 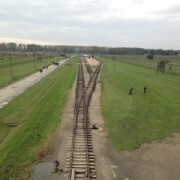 The changes do represent something positive, Poland’s evolving view on history and the unity of the international community when it comes to preserving the former camps as important symbols of history. These great leaps, however, have had hidden consequences. Updating the memorial to reflect current interpretations of history covers the past mistake that is so important to learn from. 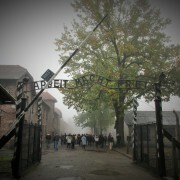 People who visit Auschwitz should be educated on how the past interpretation of events was harmful and inaccurate. History is never a clean process. It is muddled with the biases and prejudices of even the smartest and best intentioned people. I was introduced to this idea later on in my education, when my teacher encouraged us to compare the popular historical interpretations over time. Often understanding these historical interpretations within their own historical contexts deepened my understanding of whatever I was studying. 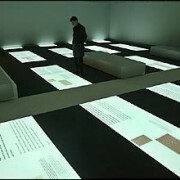 For the Holocaust, it is important to understand that for too long after the war it was ignored. It is important for understanding later events like the anti-Semitic movement in 1968 Poland. Wouldn’t it be better to instill this broader understanding of history in a larger public? If I could think of a middle ground to updating memorials and preserving them for their educational purposes I would think in terms of “add do not subtract”. For the International Memorial to the Victims of Fascism I could imagine there being a multiple small memorials as long as it did not violate the preservation laws. Plaques around the site that were dedicated to the victims in a different languages. A memorial to specifically Jewish Victims, and also maybe a memorial dedicated to Roma victims. Though this would only work if there was education as to why the memorials were set up this way. There needs to be a discussion on how the Holocaust was interpreted though history and why. I think coming at memorials this way encourages a deeper and more complex view on history that would be beneficial to anyone who visits the memorial.